Well, for sure some slick tyres will be faster, but some will be slower as well! Did you test the soft or medium? Same tyre size? Same car? Same track and air conditions? Unless the difference is huge (proper soft slick), then it might be harder to see the difference, especially if tested in different conditions. They are not road legal in many countries, and used on tarmac rallies in some countries. I maintain my estimation of 1.5 as friction coefficient. Radius of the first corner 166.5m. Speed at apex 225km/h. Is that track radius or the trajectory radius? I then used a round object and adjusted the zoom of the map to match my round object that I aligned on the gray trace, then measured the scale of the map, and the diameter of my round object, and found that the radius was 166.5m. I see your point tho, I have measured track radius while trajectory radius will have a bigger radius (assuming the driver knows what he's doing and hasn't done a mistake, which can be accepted looking at the onboard), therefore smaller lateral acceleration, but its all I can do at the moment, being on holiday. You could try the same technique but line up the circular object so it follows something closer to the racing line. For these quick calcs I usually take a screen shot of the satellite image then fit a circle to it in microsoft powerpoint then use the map scale to measure the circle diameter. This is a Swedish time attack car. I've been wondering about his diffusor sticking down below the cars floorlevel. This must create a high pressure zone before the diffusor and creating lift? In simple terms the role of the diffuser is to return the high(er) velocity air (and thus lower pressure) underneath the car to atmospheric pressure as "smoothly" as possible, by doing so, it allows for the air underneath the car to be accelerated and thus creating downforce. It's important to remember the air is affected by every part of car front and downstream of any arbitrary point, so you cannot take the effect of one device in isolation as the whole car works as a system. If we throw away the laws of physics for a moment, let's imagine what the pressure under the car would look like without a diffuser. In this nonsensical world, the air would accelerate under the car, lowering the pressure. The air would then stay in this low pressure state until it reached the back of the car where it is suddenly presented with a large adverse pressure gradient. Obviously in the real world this would greatly hinder the flow of the air behind the car causing a lot of adverse affects, which would ultimately lead to the pressure underneath car being much higher than you would hope for. By having the diffuser at the back, you can accelerate the air greatly under the car, while then being to slow it back down to the same pressure as the free-stream, avoiding the nasty effects. While a diffuser trades dynamic pressure for static pressure, without the diffuser there wouldn't be that trade of dynamic pressure from static pressure in the first place. If I'm wildly incorrect on this let me know. Team MCA ran a much smaller diffuser this year. A reversal of trends. Other cars still sported big honkin diffusers. I think they went for a completely smooth diffuser at MCA. 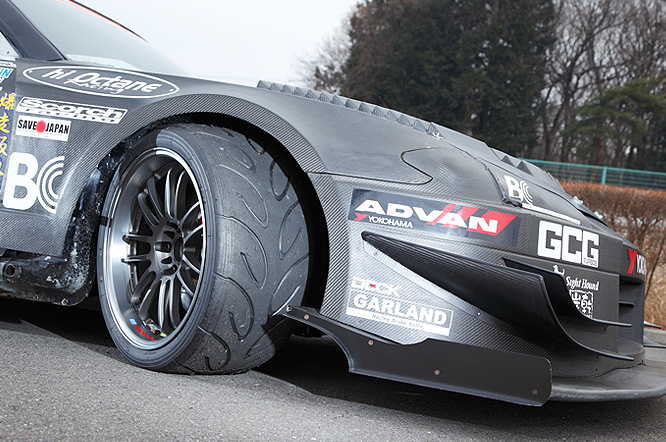 Previous years the diffuser was always comprimised by driveshafts and suspension disrupting airflow. I'm skeptical of the sales pitch here. Rotating the drag vector perpendicular to vehicle centerline, and mirroring it with another drag vector on the other side, won't make it's drag disappear through an effect of mirroring opposing forces. The airflow around the vehicle still experiences a pressure differential around the front corners of the car as in non-curved front wings, and, in totality, fore-to-aft across the entire vehicle. Where does the negated drag from mirroring disappear to, otherwise? Relative to local airflow, the drag vector of the "infinity wing" is the same as any other wing oriented to airflow. The drag vector relative to vehicle longitudinal centerline isn't entirely relevant; airflow is bending around the car, not following its centerline. Thus "mirroring" drag vectors about the centerline of the vehicle isn't really meaningful; it's the impedance placed into the airflow that matters, and drag vectors remain normal to it, as always. These "infinity wings" remain such an impedance. It wasn't a change to reduce drag. The team was experimenting with solutions to porpoising and tire loads. Back to back tests showed an decrease in top speed. Also on your earlier post about the smaller diffuser on MCA. The diffuser was "stalled" when we started work on the car. The spoiler addition in 2016 made a lot more rear downforce and reduced drag but did so even with producing some lift on top of the rear diffuser overhang. Originally we designed the spoiler and shorter rear diffuser together for 2016 but only the spoiler was completed in time for 2016 event. Would be fun to discuss the RP968, lots of interesting things on that car. Regarding the infinity wings, I think there are two definitions of drag and different education circles explain it differently. The one I was taught, being educated in the US was the force opposing thrust. Not a force direction relative to some surface. I am not even sure exactly how to mathematically define it that way. What defines the vector on something so curved? Yeah that BMW's diffuser does not appear to be designed correctly. They haven't seem to have grasp that is that start of the diffuser's expansion and how it relates to the flow under the floor of the car that is critical !! 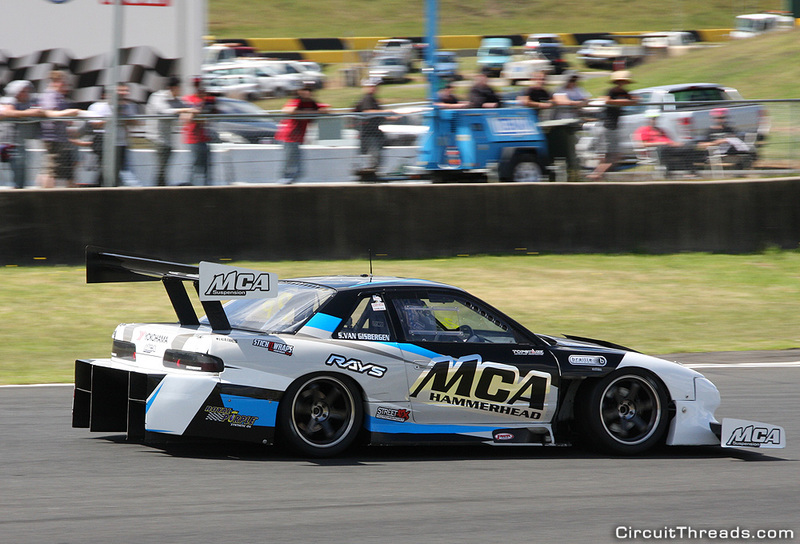 Is there a good reason the MCA team uses a S13 Nissan Silvia and not a S13 180SX? I would guessed the shallower C-pillar angle of the 180 would be a better base for time attack platform...? Last edited by JordanMugen on Thu Oct 18, 2018 10:48 am, edited 1 time in total.